18-01-2019 IK4-TEKNIKER Congresses . Inspection and measuring . During the conference, the technology centre will present in-house developments related to the technology used for automatic machine tool verification. 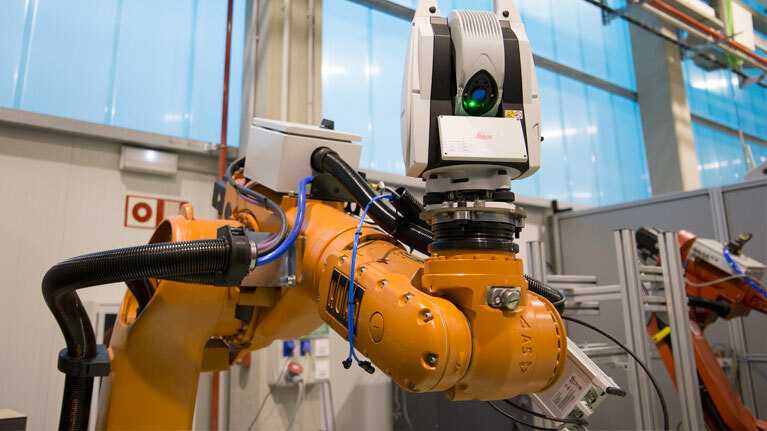 The MetMap conference will take place on January 22-23 2019 at the University of Sheffield Advanced Manufacturing Research Centre (also known as AMRC) in the United Kingdom, where experts will gather to discuss the future of metrology incorporated to advanced manufacturing. IK4-TEKNIKER will participate in the session called “Process monitoring” with a presentation entitled "Integrated volumetric error mapping solution for traceable on-machine tool measurement" focused on the development of technology that provides automatic machine tool verification capabilities well as traceable measurement of parts and components by the machine tool itself. Specifically, the technological centre has developed a solution (“Integrated multilateration for machine tool automatic verification”) that automatically verifies the geometry of a machine tool through its entire work volume by installing a laser tracker system on the machine as if it were just another tool. The solution provides automatic volumetric verification for medium size and large machine tools throughout their entire work volume and everything is done in a short space of time. It can also incorporate to machines as an additional functionality. Experts at the MetMap conference will look into new developments in the field of precision metrology that are absolutely essential for industrial manufacturers and users. Four main topics shall be covered during the conference: the development of sensors, process monitoring, process control and data handling. For more information, please visit the MetMap web site.